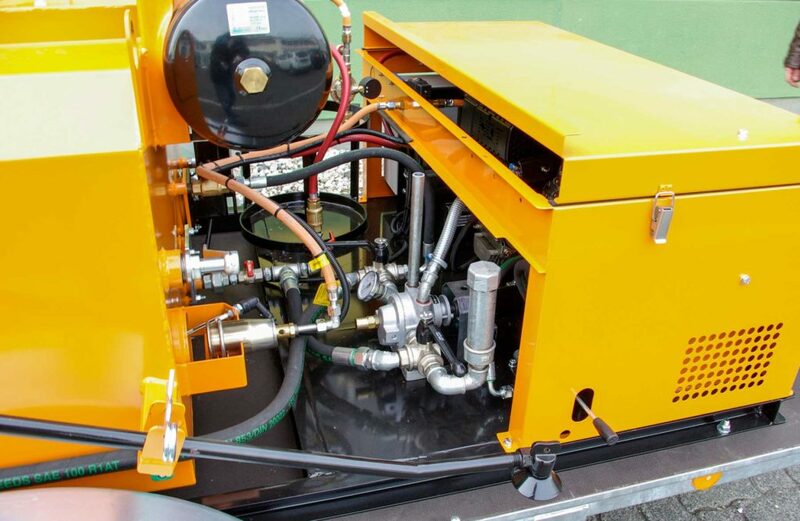 Binding material pump with pressure relief valve and hydraulic drive to enable back suction and circulation of binding material, no direct belt drive. 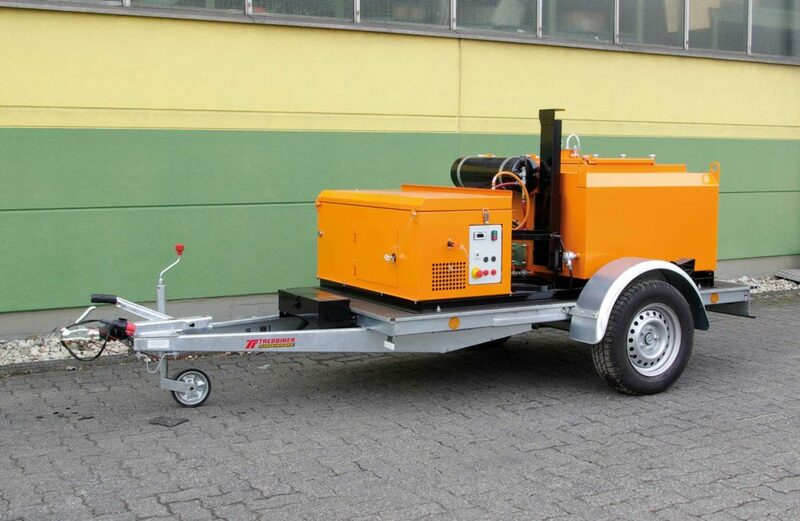 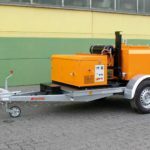 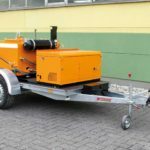 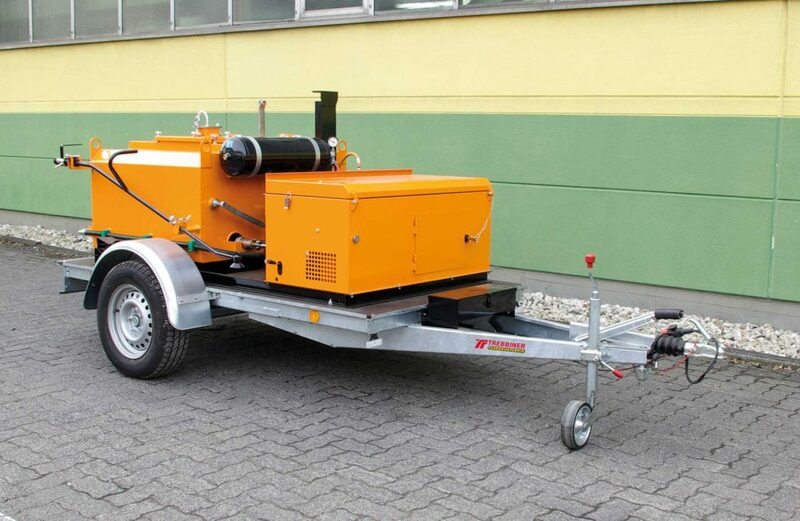 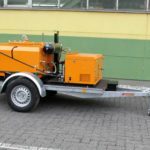 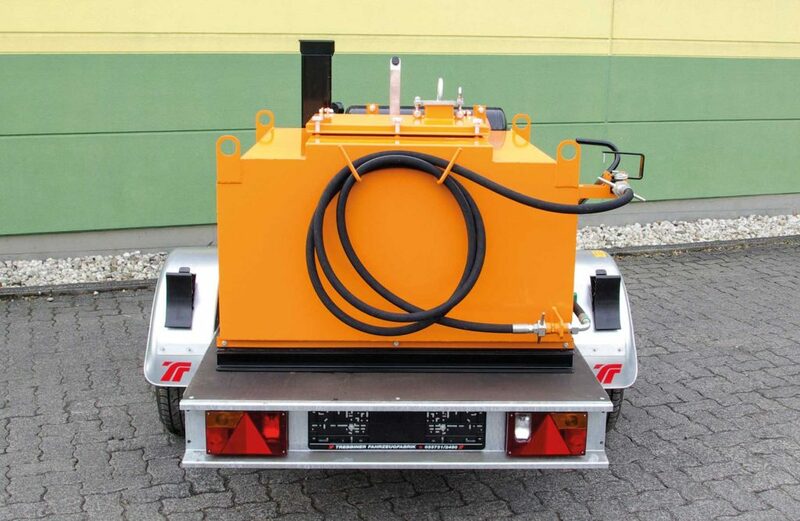 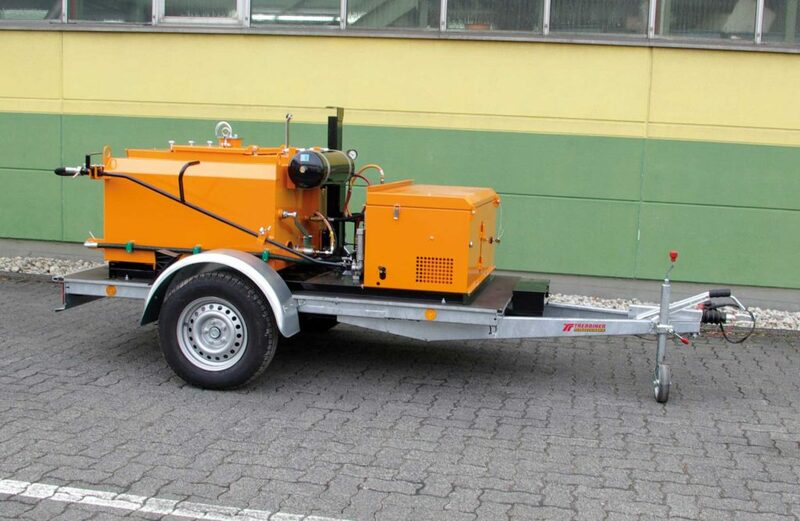 The exhaust from the diesel engine heats the binding material pump and the 500 L binding material tank is warmed by a propane gas burner system. 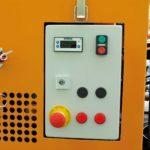 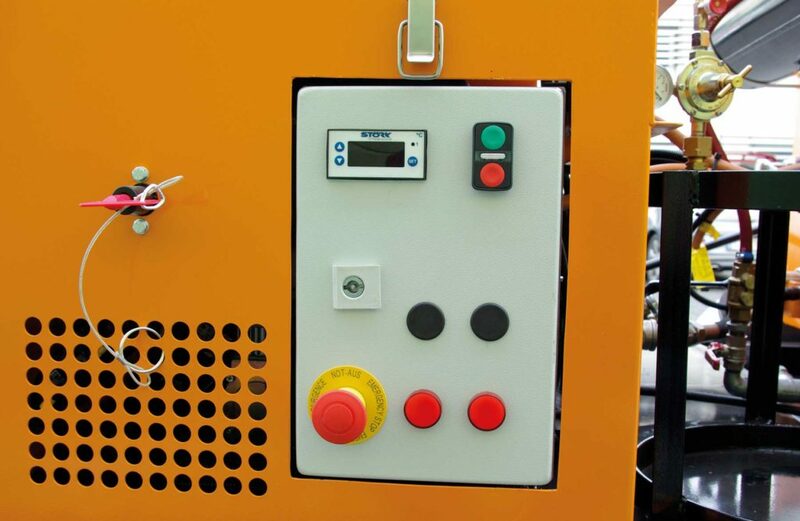 The manual gas burner system is equipped with all safety devices and piezoelectric ignition. 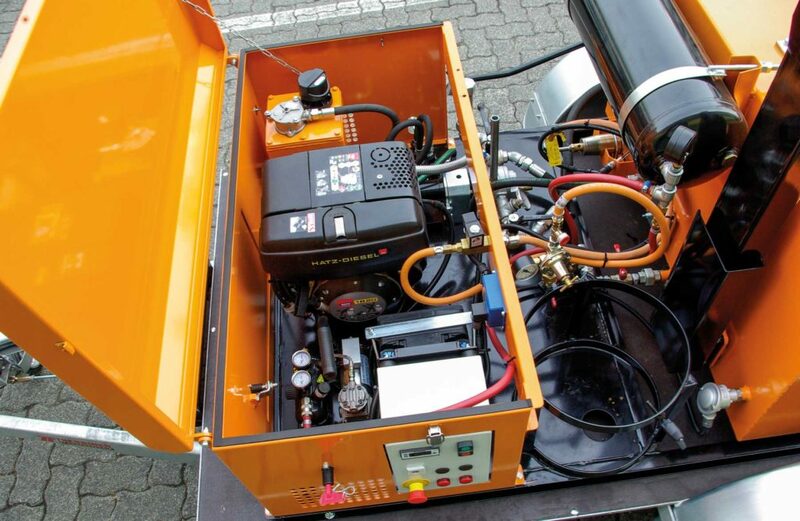 The insulated tank has a removable lid with an inspection hole, thermometer and a float level indicator FULL-EMPTY. 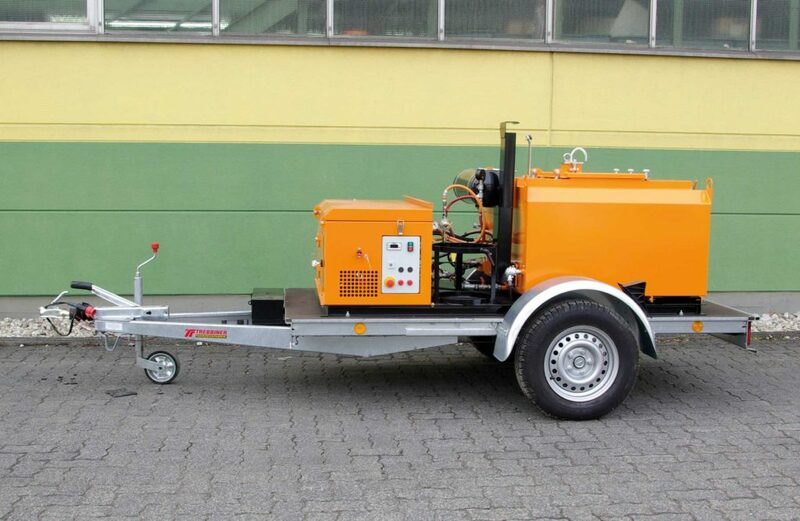 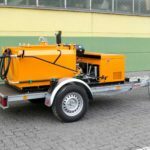 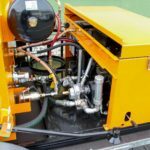 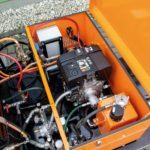 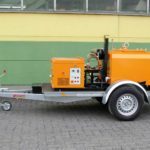 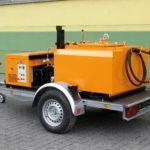 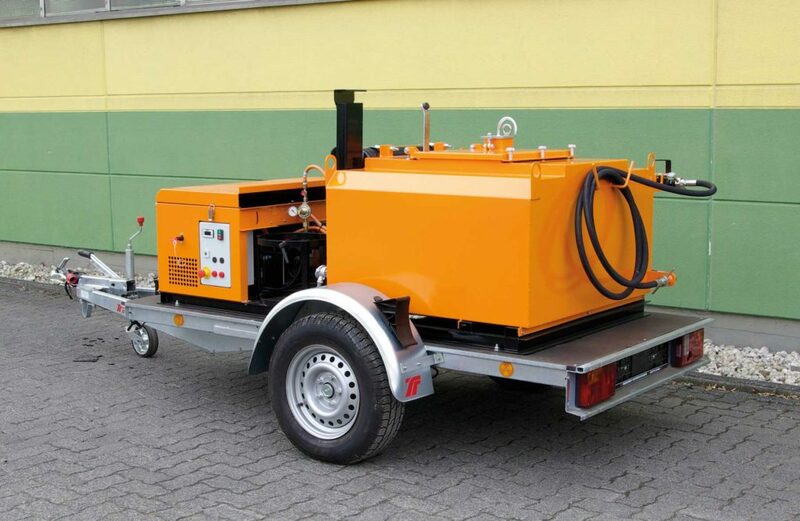 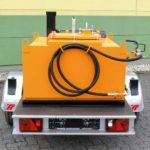 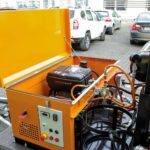 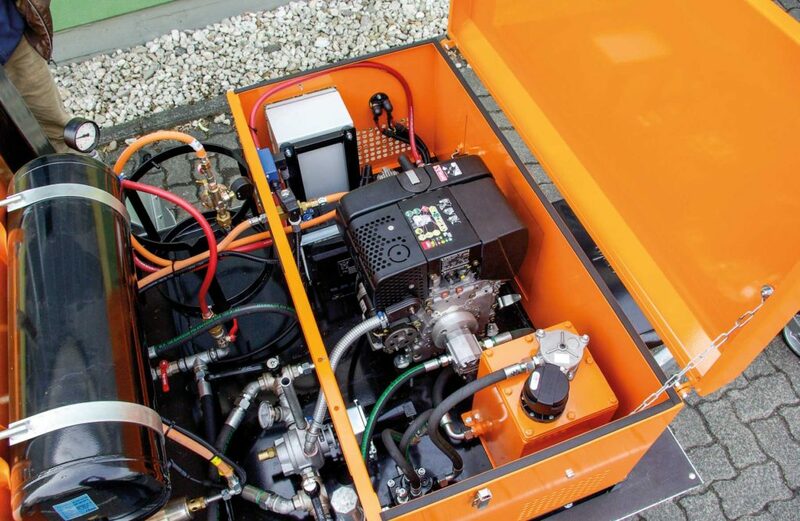 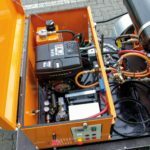 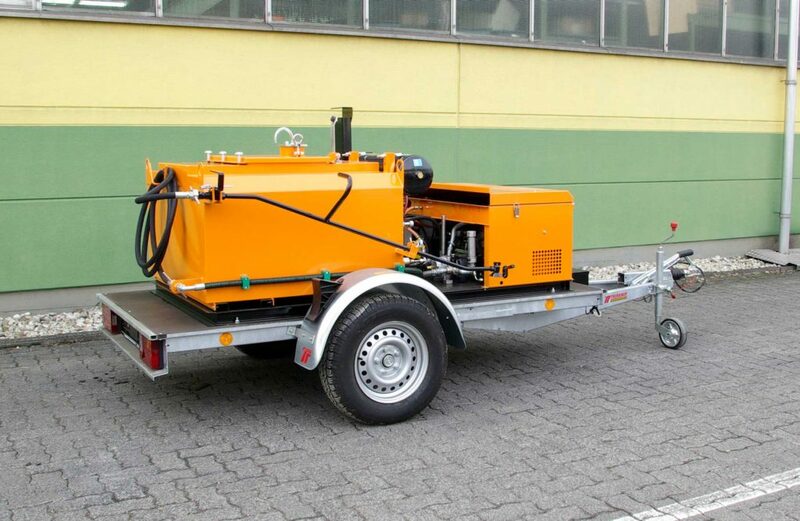 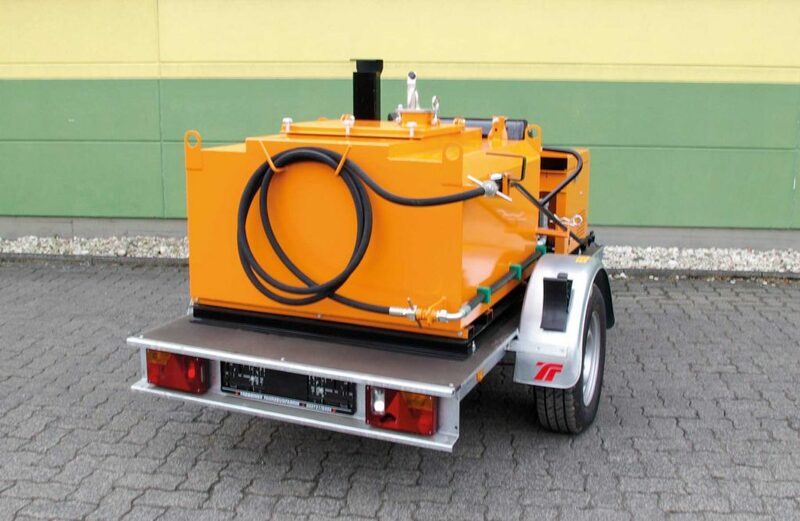 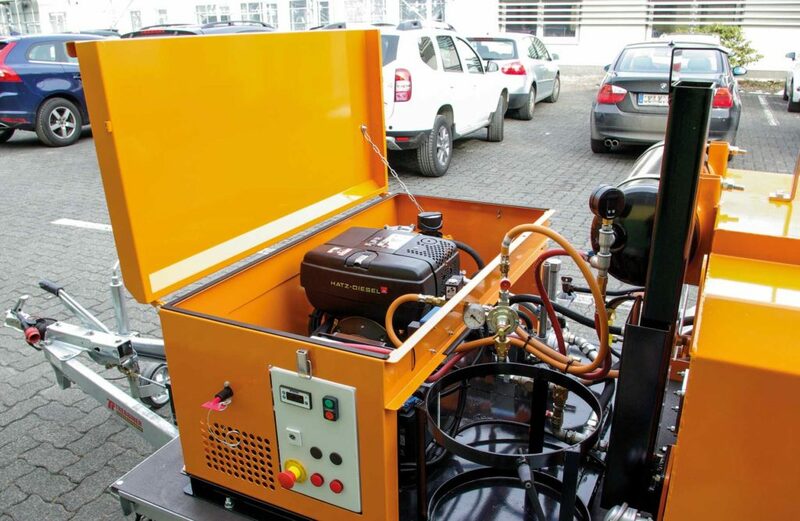 A compressed air cleaning system with a small compressor and a solvent wash unit are included for cleaning the binding material pump and the bitumen hoses. 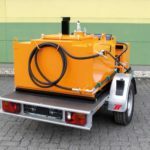 The delivery includes a 5 m spray hose and spray lance for applying the binding material.